For IT News Week 2 of Jan 2019, check out the sendQuick.io, an integrated Omni-Channel Messaging for enterprise. As the International Financial Reporting Standard 9 (IFRS 9) deadline inches closer, financial institutions need to act fast in their convergence of functions, technology and models. Bank Rakyat Indonesia (BRI), the largest bank in Indonesia and top ten ASEAN bank for tier 1 capital, is using SAS® Expected Credit Loss to comply with Indonesia’s adaptation of IFRS 9, known as PSAK 71, and ensure long-term flexibility to meet evolving regulations. After a highly stringent process, BRI selected SAS to help the bank meet regulatory changes across its 12 business segments. BRI will use SAS Expected Credit Loss to ensure fast, efficient risk model implementation as well as for testing and maintenance efforts after the IFRS 9/PSAK 71 implementation deadline in Indonesia. The IFRS 9/PSAK 71 and its updated standard on credit loss measurement will drastically change how financial institutions estimate, reserve and report on losses. With 100 deployments globally since 2014, SAS has been helping a growing number of banks in ASEAN achieve operational readiness to meet the new accounting standards. Most recently, British multinational Standard Chartered Bank – present in all 10 ASEAN markets – was awarded The Asian Banker Risk Management Award for the implementation of an IFRS 9 solution, for which they used SAS Expected Credit Loss. Commvault today announced that its IntelliSnap® snapshot technology is now validated to work with Cisco HyperFlex hyperconverged systems, providing comprehensive data protection for the enterprise. 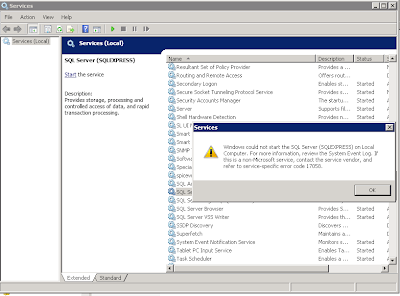 The solution protects all application workloads, file systems and virtual machines without the need for third party tools, delivering simplicity, control and flexible architecture options that will meet business needs now and in the future. This further strengthens Commvault’s partnership with Cisco and its joint solution, ScaleProtect™ with Cisco UCS. The powerful, multi-cloud offering ensures data is available, moveable and recoverable on any Cisco infrastructure platform, including the Cisco HyperFlex platform and other mission-critical and enterprise applications. The combination of ScaleProtect with Cisco UCS and Cisco Hyperflex provides a hyper-converged, scale-out solution that delivers enterprise-class backup and recovery for end-to-end protection of the Intent-based data center. Naveen Chhabra, Senior Analyst, Forrester Research,said that in the age of big data analytics, machine learning, and artificial intelligence, backup tools remain very old-school; the offering of Commvault are leading the way in aligning themselves to advancing the technology. 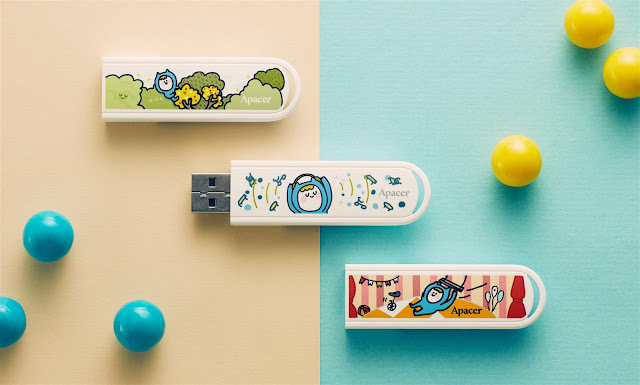 Apacer is pleased to announce their collaboration with illustrative brand Ning’s to launch three Apacer X Ning’s AH23A flash drives, as well as a co-branded AC233 portable hard drive. The illustrator, Ning, injects her relaxed and positive attitude in life into her cute and uplifting illustrations that warm so many readers’ hearts. The thoughtful strap hole on AH23A enables the user to carry the flash drive around wherever they go, as a lucky charm cheering them on throughout the day. The AC233 portable hard drive offers a generous storage capacity of 1TB, big enough to hold all your precious files and memories. 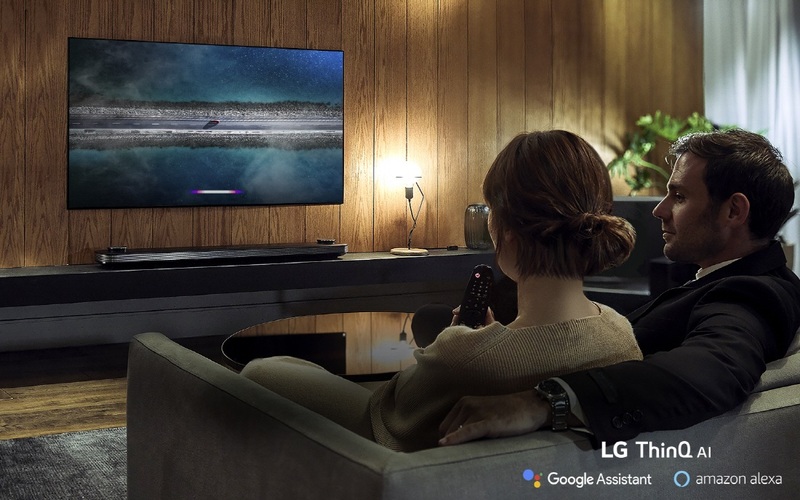 LG Electronics (LG) is taking the home entertainment experience to new heights with the introduction of its latest flagship TVs with ThinQ AI at CES 2019. Powered by the company’s second-generation α (Alpha) 9 Gen 2 intelligent processor and deep learning algorithm, the new models offer a higher level of AI picture and sound experience quality. Thanks to the new algorithm, LG’s 2019 TVs offer enhanced picture and sound by analysing the content source in order to recognize the ambient conditions around the TV to deliver more optimized content. Quadrant, the platform that maps and authenticates data, making it easier to buy and sell quality, authentic datafeeds, announces today that organisations are now able to purchase credits for its services using fiat currency. By allowing companies to use currency, Quadrant ensures that they remain in compliance with traditional book-keeping and accounting structures. Organisations will be able to purchase Service Credits (known as QUADs) from Quadrant who will then take out the equivalent number of tokens from the open market for use on the platform. Organisations who wish to purchase authenticated, organised data will be able to do so safe in the knowledge that they are in full compliance with existing accounting and tax standards. Companies have previously had to purchase tokens through exchanges before using those tokens to pay for services, which was problematic from a financial reporting point of view. Quadrant has overcome this challenge by removing barriers to Blockchain technology, making tokens available for purchase directly from Quadrant. This mechanism allows for the issuance of invoices and receipts allowing for proper and full tax and accounting compliance. As companies realise it is safe, compliant and accessible, they will start embracing Blockchain solutions on a much wider scale. Mike Davie, CEO of Quadrant, said that this is expected to be a game-changer for enterprise adoption of Blockchain technology. 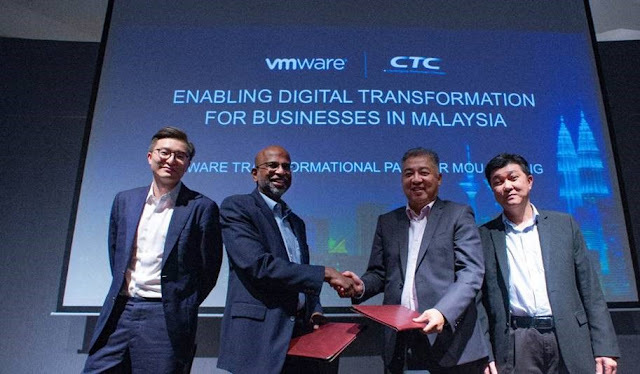 VMware, Inc., a leading innovator in enterprise software, has signed a partnership with CTC Global Sdn Bhd (CTC Malaysia), one of the leading IT solutions providers in Malaysia, to drive cloud adoption and help Malaysian enterprises in their digital transformation journeys. The partnership is aligned with Malaysia’s rapidly growing appetite for cloud adoption – the country was recently ranked 8th on Asia Cloud Computing Association’s Cloud Readiness Index 2018 – ahead of its Southeast Asian neighbours including the Philippines, Thailand, Indonesia and Vietnam. “CTC Malaysia is making cloud adoption easier for enterprises with our local cloud services called CUVIC Cloud. CUVIC Cloud is owned and operated by CTC Malaysia; and fully developed based on VMware Validated Design” said Mr Dennis Koh, Managing Director, CTC Global Sdn Bhd. “Technology is rapidly taking the front seat in boardroom agendas as enterprises start to recognize that software and cloud services are essential to thrive in Malaysia’s digital economy. With VMware’s first class cloud solutions, CTC Malaysia will enable businesses with a unified, fully automated self-service platform that is easily configurable and flexible” ends Devan Parinpanayagam, Country Manager, Malaysia, VMware. 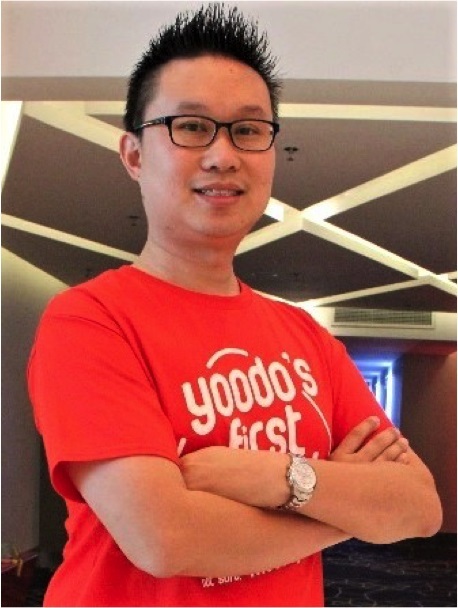 Yoodo - Malaysia's first truly customisable digital mobile service has announced new leadership with Chow Tuck Mun taking on the role as Head of Yoodo. An internal successor, Tuck Mun brings with him 16 years of experience including experience at Celcom Axiata, Axiata Group, GuocoLand, Philip Morris International and the founding of his own start-up. Tuck Mun's appointment also signals a shift in the company's approach to a five-pronged strategy that cuts across various key stakeholder segments. Dathena, is a global Artificial Intelligence-powered data security company based in Singapore. We were recently selected by Microsoft as a Co-Sell Ready partner and will be collaborating closely with them to deliver a best-in-class enterprise-grade data protection solution. Developed by information risk management experts, Dathena intimately understands organizations’ data privacy and protection needs, and caters to them with an in-house developed Artificial Intelligence-powered technology: the Dathena 99 Core Engine. Pratima Amonkar said that Dathena’s AI-driven product suite combined with Microsoft’s Azure Information Protection (AIP) deliver an intuitive and comprehensive solution, helping customers take control of and protect their data.